We have all heard stories about illegal contact lens sales, particularly those involving plano colored contacts, but what can we do to combat this epidemic? ODs can, in fact, play a critical role in documenting and combatingillegal CL sales. The CDC has joined forces with the American Optometric Association and others to organize the Second Annual Contact Lens Health Week for August 24-28, 2015. They provide tools for eyecare professionalsto promote awareness of the steps that need to be taken to ensure contact lens wearers keep their eyes safe and healthy. Recently, the AOA reported on two optometrists in different states, who joined forces with local law enforcement and health officials, to curb illegal contact lens sales in their areas. It made me think about all of the times I hear patients casually mention to me that their friend has gotten colored contacts from their beauty salon or a tanning place. I cringe when I hear this, and I relay the importance and purpose of being properly fit and re-evaluated yearly by an eye doctor to my patient to tell their friend, but how likely is it that this patient will give her friend the message? Or that the friend will even take it seriously? 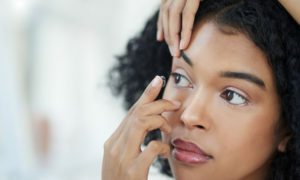 As eyecare professionals, we know the devastating effects that wearing contact lenses without a prescription can cause. 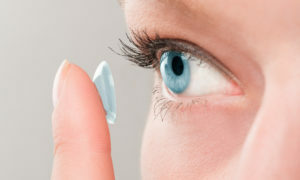 From ulcers to CLARE (contact lens associated red eye) to scarring, and more, contact lenses are not “one size fits all,” and proper training and education on appropriate contact lens wear and care needs to be given to avoid the “rare” and “not-so-rare” complications of contamination, mishandling or an improper fit. Importantly, the AOA has launched an initiative to collect a database of places that have been spotted illegally selling contact lenses through its AOA Contact Lens Watchdog Group. 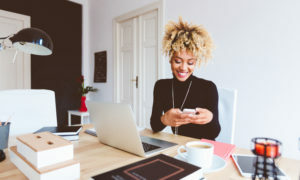 I think that as a community of eyecare professionals, we should all save the e-mail address, stopillegalCLs@aoa.org, and have it on hand or in our Gmail accounts to quickly and conveniently use whenever we find or hear of a place selling colored contacts without a prescription, or if we have a case where a patient has been harmed by wearing illegally sold contact lenses. 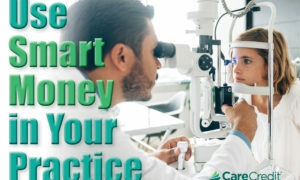 I encourage all eyecare professionals to enthusiastically participate and take advantage of this valuable Contact Lens Health Week resource, which will help you to raise public awareness through social media tips and hashtags (#OnePairTakeCare), printable posters, free posters you can order, free tear-off pads with CL tips from the CDC you can order, and more! Have you heard about Contact Lens Health Week? How did participating last year help your practice? What do you say or do when you hear of colored contacts being obtained illegally? Cheryl G. Murphy, OD, practices in Babylon, N.Y. You can like her on Facebook or follow her on Twitter @murphyod. To contact her: murphyc2020@gmail.com.